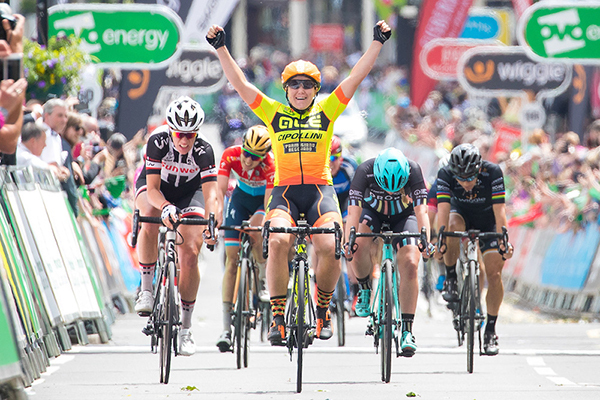 Alé Cipollini's Australian Chloe Hosking sprinted to victory in Royal Leamington Spa at the end of the third stage of the OVO Energy Women's Tour, as WM3 Pro Cycling's Katarzyna Niewiadoma retained her hold on the race leader's OVO Energy Green Jersey. 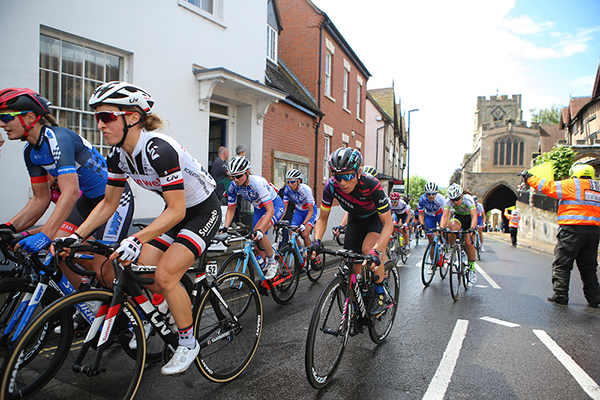 Hosking came off Giorgia Bronzini's wheel with around 100-metres to go on the Parade in Leamington Spa with only Drops rider Alice Barnes providing a challenge on the long, straight gently rising drag to the finish line. "It feels really great” said the 26-year-old Victorian. "This is a highlight race for most riders on the calendar so I feel really privileged to come away with my first win and first podium here. It's a phenomenal event, I feel like I've entered an elite group! 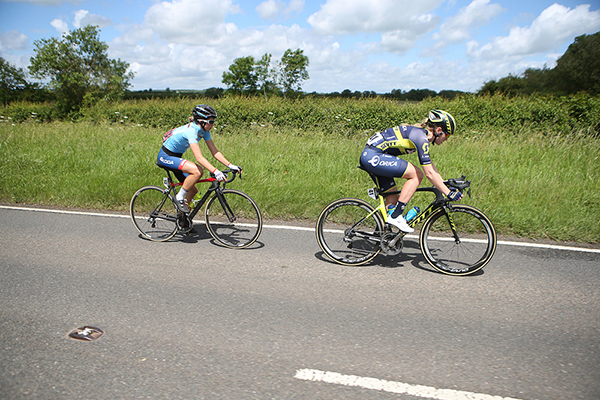 Behind Hosking came Alice Barnes, retaking the Adams Best British riders jersey from her sister Hannah, who was sixth, with the pair now sitting third and fourth overall, both 1-minute and 46-seconds back from Niewiadoma. "There's not really any sibling rivalry between us,” said Alice speaking at the post-stage press conference. "Everybody thinks there should be but we just race the events and try and get the best results we can. We're actually closer now I'm racing on the road than when I was a mountain biker. Thanks to time bonuses Ellen Van Dijk, third on the stage, moves up to second overall, 1-minute and 43-seconds behind Niewiadoma with two stages remaining. Cecilie Uttrup Ludwig, the leading young rider in the UCI Women's World Tour briefly threatened Niewiadoma's leading as the best placed of five riders who hit the front and built an almost two-minute lead, but were finally reigned back in at five kilometres to go, setting up the thrilling sprint finish. 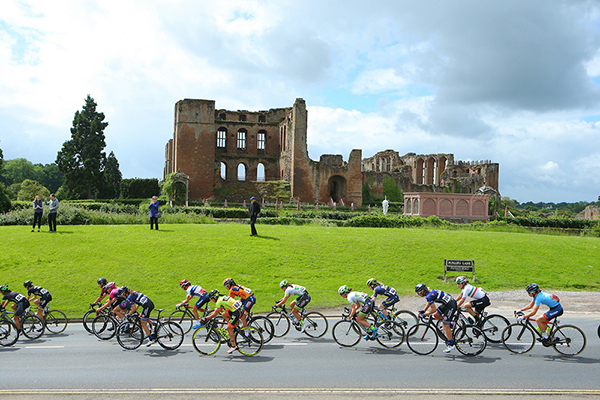 Wiggle HIGH5 kept the SKODA Queen of the Mountains jersey with Audrey Cordon-Ragot, now seven points clear of Lucinda Brand, while the team also took the Eisberg Sprints Jersey thanks to Jolien D'hoore who picked up points at both intermediate sprints in Kenilworth and Wellesbourne. 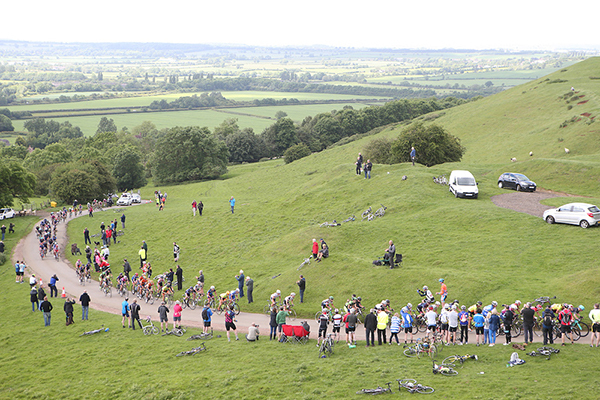 Alison Jackson (BePink Cogeas) finished 10th at the same time as the winner. Leah Kirchmann (Team Sunweb) was 35th in the same time. Kirchmann is top Canadadian in the GC, sitting 15th at 2:02 back. Jackson sits 65th at 14:10 back. 45 Trixi Worrack (Ger) Canyon SRAM Racing all s.t. 50 Gracie Elvin (Aus) Orica Scott s.t. 53 Nikki Brammeier (GBr) Boels Dolmans Cyclingteam s.t. 55 Aude Biannic (Fra) FDJ Nouvelle Aquitaine Futuroscope s.t. 90 Sheyla Gutierrez Ruiz (Esp) Cylance Pro Cycling all s.t. 5 Marianne Vos (Ned) WM3 Pro Cycling Team both s.t. 12 Aude Biannic (Fra) FDJ Nouvelle Aquitaine Futuroscope s.t. 15 Leah Kirchmann (Can) Team Sunweb s.t. 18 Anna van der Breggen (Ned) Boels Dolmans Cyclingteam s.t. 25 Lisa Brennauer (Ger) Canyon SRAM Racing all s.t. 41 Anouska Koster (Ned) WM3 Pro Cycling Team s.t. 43 Simona Frapporti (Ita) Hitec Products s.t. 46 Marta Bastianelli (Ita) Alé Cipollini s.t. 56 Rebecca Durrell (GBr) Drops s.t. 61 Anna Plichta (Pol) WM3 Pro Cycling Team all s.t. 64 Miriam Bjørnsrud (Nor) Hitec Products s.t. 68 Christina Siggaard (Den) Team Veloconcept Women s.t. 72 Jeanne Korevaar (Ned) WM3 Pro Cycling Team all s.t. 78 Rozanne Slik (Ned) Team Sunweb both s.t.